KoopaTV: One Year Later: Trayvon Tyson's Punch-Out!! By LUDWIG VON KOOPA - The gaming world took by punch. Did you know that this week was the one-year anniversary of Punch-Out!! Week? One of the best weeks in KoopaTV history from a content perspective. Every article that week was about the Punch-Out!! series or incorporated it in some way. It all ended with KoopaTV's pride and joy, Trayvon Tyson's Punch-Out!!! Play it for free exclusively at KoopaTV! So as a really bad tribute to Punch-Out!! 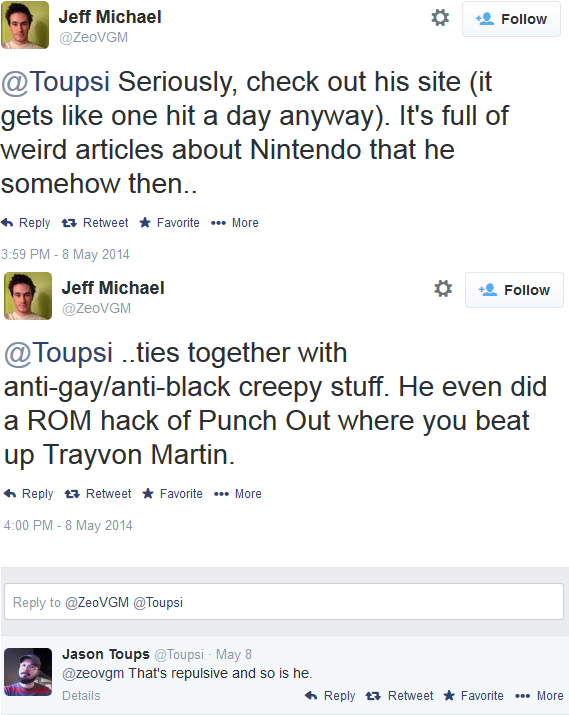 Week, I've forcefully inserted references to Trayvon Tyson's Punch-Out!! in the other four articles from this week. Did you notice? In case you forgot, this DID win PC Game of THAT Year 2013. So if you haven't played the game yet, I highly suggest you do so by clicking that giant lettering above or by hitting the Trayvon Tyson's Punch-Out!! tab accessible from any page on the site. How long are we going to keep that tab there, anyway? 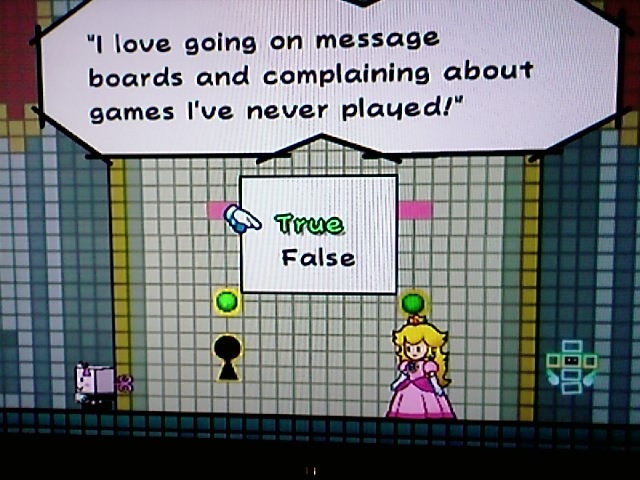 Either way, the game really is critical to the KoopaTV message. It incorporates so many of our themes and issues into one product that is fun to play. One of the first articles I wrote for KoopaTV talked about how the products in the "serious games" genre weren't fun to play and you came into the game knowing it wouldn't be fun, so you wouldn't play it except to confirm your confirmation bias. Our game surpasses that notion. I'm happy to report that many hundreds of people (perhaps somewhere in the thousand area, but probably not) have had the opportunity to play Trayvon Tyson's Punch-Out!!. Whether or not they actually went through the whole thing or not is a mystery to me. Many people liked the game. Many, many, many more people despise it. I'm pretty sure none of the latter group have actually played it. This pretty much happened with our game. According to one of KoopaTV's most persistent critics, the game is a ROM hack. The advertisement has a line in there saying that Trayvon Tyson's Punch-Out!! "is the best Punch-Out!! game made from Scratch." That's a double meaning. It's made in the Scratch framework (and one of the most impressive games on Scratch if you look around), and it's also made from scratch, as in, it's not a ROM hack and we didn't have access to any of the Punch-Out!! source code when making the game. So I take that it was confused for a ROM hack to be a big compliment, because that means I did a great job programming it. So one of the reasons it's in Scratch is because people can easily see our source code and make "remixes" of it. Basically, they can create their own content. The interior of the game is littered with my developer comments, so look at it if you want. So that brings the question: Why is there no sequel to the game yet? In fact, why isn't there any new game since? Well, as you may have read, we were planning on producing DLC. But that got canceled due to real life incidents. As for new games in general, we were also planning to produce Jessie Go Jr. Two, later known as Jessie Go Jr.: Ace Attorney. But that got canceled too due to running into issues with the intellectual property. Hey, we're writers first, game developers second maybe fifth but who is counting? Let's take this time to address the current events in Ferguson, Missouri. Listen closely, since this is the only time on KoopaTV I'll do so. People thought this was "the second Trayvon Martin". Once news got out Mike Brown was killed and he was a black "teenager" killed by an older white man, people who felt that we got "NO JUSTICE, NO PEACE" from the George Zimmerman trial raised their protest flags again. Except this time it was an actual cop who shot him, not a cop-wannabe. Once again, people rushed to conclusions without knowing the facts. The "gentle giant" who was going to the store to buy Skittles and Iced Tea soda and candy was really robbing the store of cigarettes and was a rapper who had violent lyrics like popping cops. Now we have black dudes rioting by the hundreds and burning down stores and places of employment so they can complain about not having jobs later. Now you have the likes of Al Sharpton inciting riots across America just like he does in the game for his personal power. They're literally holding voter registration events at the Ferguson riots. Do you want people who burn down stores to be voting in elections? They're not only violent people, but they're also incredibly stupid people. And the mob of morons on social media supporting the rioters are just as stupid. The idea that everyone in America should vote is an awful one, and the Founding Fathers knew that. The rioters aren't even local people who are mad about Mike Brown being shot. The rioters are professional/recreational thugs who come from out-of-state and have arrest records. Hell, you literally have people there from ISIS! It is all a power play from the likes of Al Sharpton who get power out of this. He enjoys being called the foremost black leader. I hope black people do not consider Al Sharpton to be their leader, because they are just being used and taken for granted. They're not even hired guns because they're spreading Sharpton's influence for free! Al Sharpton and other racial agitators do not want racial relations to be healed. They WANT the culture of blacks in poverty and blacks seen as criminal elements to continue, or else they won't have any more reason to still be relevant. The only difference between Trayvon Tyson's Punch-Out!! 's story and real life is that Sharpton is finding new people's deaths to take advantage of instead of reviving old ones, and we do not have a hero like Little Mac dealing with things. Even Eric Holder is getting himself involved, just like last time. The civil suit against George Zimmerman is still pending. The Ferguson event does not have a vast cast of wild larger-than-life characters. They're pretty boring. What would it be called? Trayvon Martin was the guy who died to make Trayvon Tyson's Punch-Out!!. The guy who died this time is Mike Brown... so would the sequel be Mike Tyson's Punch-Out!!? Because that already exists. "Mike Brown's Punch-Out!!" doesn't have a ring to it either. It sounds... quite generic, which goes back to reason number 1. It wouldn't go over any new ground. If we're going to spend resources making a new game, it better cover some new material. It's fine for articles to repeat on themes, but the difference between the time in writing an article and programming a videogame (and voice-acting it, and doing all the graphics for it, and other things) is quite large and so new games are supposed to be a rare thing. Now then, you've had enough text and ranting. It's time for your reward. The sound effects (most of them) and voice-acting used for Trayvon Tyson's Punch-Out! !, all in one video! Trayvon Tyson's Punch-Out!! is notable for having such memorable sound work that you are instantly reminded of the game upon listening to the below video. We are still looking for and will publish any future details about people writing reviews of Trayvon Tyson's Punch-Out!! and making any Let's Plays or other videos or tributes to the game. You (and everyone else) have our full permission to do so. Ludwig and the rest of KoopaTV would like to thank you for supporting us and Trayvon Tyson's Punch-Out!!. Share the game to your closest friends, and share the rest of KoopaTV to anyone else. 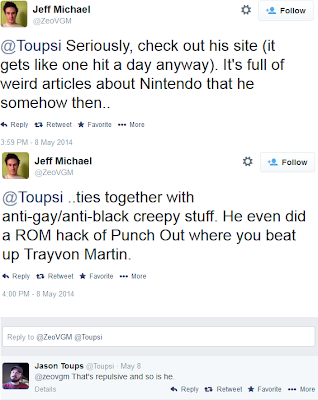 Follow Ludwig at NNID PrinceOfKoopas as he reminds Miiverse that Trayvon Tyson's Punch-Out!! is a Punch-Out!! game as well. If you are interested in joining KoopaTV to develop games or write articles for us, shoot KoopaTV a comment. KoopaTV is interested in your interest! The voice-acting and sound effects for KoopaTV's next game, Defend Anita Sarkeesian, can be found here. I have another submission for the Correction's Corner as a factual inaccuracy: "So if you haven't played the game yet, I highly suggest you do so... by hitting the Trayvon Tyson's Punch-Out!! tab accessible from any page on the site." That is no longer true. However, there is a just-as nifty Interactive Pages tab you could direct people to instead! "Frequency Limits: None, but there's a statute of limitations of 365 days on things that can be corrected"